www.indyboomer.com and see the Boomer@Work column. Very interesting and amazing blog. Great Advise, Thanks for sharing! [P2E] Thanks for a wonderful presentation this evening. My search path is a bit different than most as I am exploring starting my own small business -- at age 72! Many of your points will still be useful to me I am sure. Thanks for letting me know where to find your words of wisdom, Brenda! I appreciated your talk at P2E recently. Hi, Good Blog! Thank you for sharing. Thanks for a great article! The topic is quite hit for everyone who aspired to get a job. Awesome. Thank you so much for providing such a valuable information. I am looking forward to visit your blog at daily basis. It’s been over a year. How long is your break? Thank you for sharing information. this blog helped me to enhance my skills as well as helped me to know how I can help myself on my own. 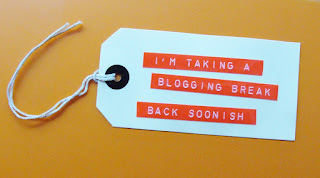 Wonderful blog & good post.Its really helpful for me, waiting for a more new post. Keep Blogging! !